When it comes to gifting, I always try to purchase a gift that will be used, not something that would be re-gifted or collect dust in the closet. While kitchenware is often gifted at wedding showers and housewarming parties, why not give the gift of organization while helping your friends or loved ones protect their identity with the Fellowes M-12C shredder. Before this year, I would have never thought to gift a shredder to a new home owner or newlywed, I would have gone with kitchenware or bathroom accessories. After recently being gifted with a Fellowes M-12C shredder, I now realize how convenient and easy it is to shred junk mail and to decrease the clutter while protecting our personal information. 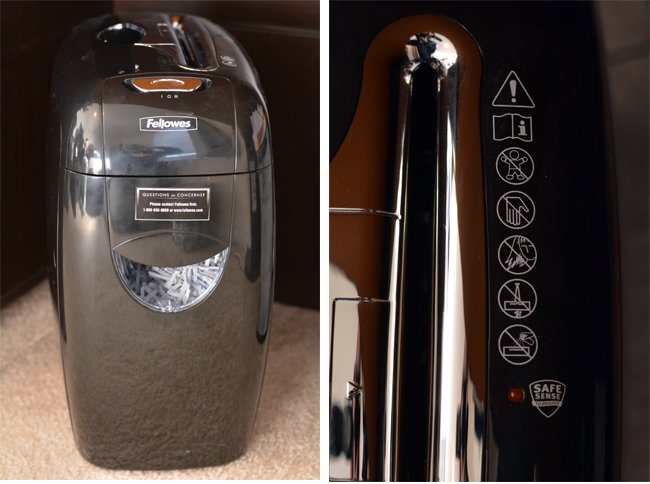 The Fellowes M-12C shredder is available to purchase at Target stores and Target.com for $99.99. I am a major pack rat and save everything, from toys, to the children’s school work, and receipts. Although I get attached to things easily and save too much, this year one of my goals is to become more organized. We recently moved and when it came time to pack, I saw first hand how much I do save. I had boxes and boxes full of random papers and hundreds of receipts dating back 3-4 years that I had no need for. 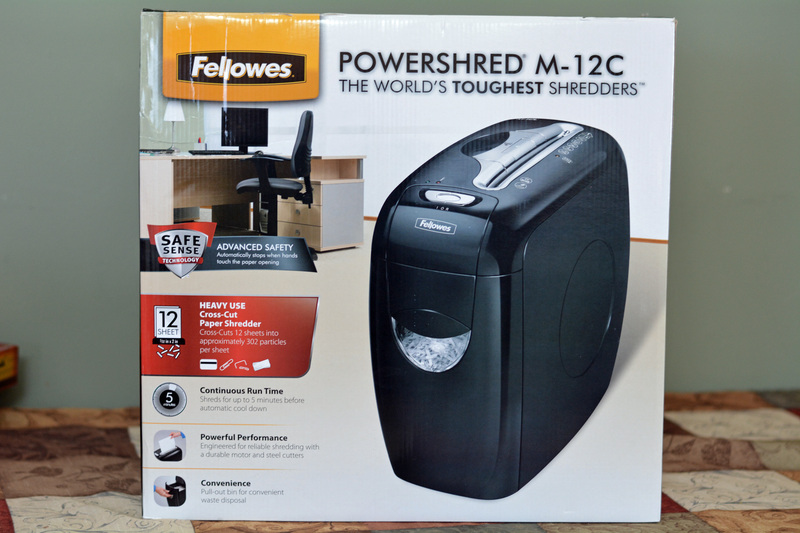 Since I received the Fellowes M-12C Shredder I have made a huge improvement in organizing our office, and shredding receipts and documents that I have no need for. Before I received the shredder I would let the mail stack up on the kitchen counter and whenever we had guests over, it would get transferred to the office and stacked on my desk. Before long, my desk would become overwhelmed with papers. With the Fellowes M-12C Shredder, I now shred paper documents daily, which not only keeps our kitchen counter and my desk clean, but decreases the chance of identity theft, as all of the personal information is shredded. Have you ever thought about gifting a shredder? This seems like an excellent quality shredder. It’s so important to shred documents that you don’t want anyone to get a hold of! You can never be too careful these days so you identity doesn’t get stolen. I have been wanting to get a shredder. This looks like a nice one to have.